I’m organizing an event at the University of Washington in Seattle that involves a reading, the screening of a documentary film, and a Q&A about Aaron Swartz. The event coincides with the third anniversary of Aaron’s death and the release of a new book of Swartz’s writing that I contributed to. 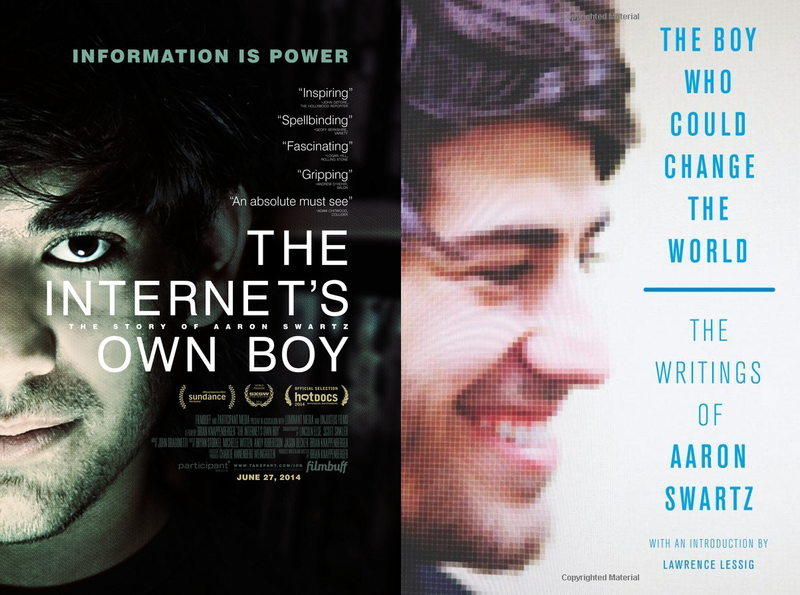 WHEN: Wednesday, January 13 at 6:30-9:30 p.m.
We invite you to celebrate the life and activism efforts of Aaron Swartz, hosted by UW Communication professor Benjamin Mako Hill. The event is next week and will consist of a short book reading, a screening of a documentary about Aaron’s life, and a Q&A with Mako who knew Aaron well – details are below. No RSVP required; we hope you can join us. Aaron Swartz was a programming prodigy, entrepreneur, and information activist who contributed to the core Internet protocol RSS and co-founded Reddit, among other groundbreaking work. However, it was his efforts in social justice and political organizing combined with his aggressive approach to promoting increased access to information that entangled him in a two-year legal nightmare that ended with the taking of his own life at the age of 26. January 11, 2016 marks the third anniversary of his death. Join us two days later for a reading from a new posthumous collection of Swartz’s writing published by New Press, a showing of “The Internet’s Own Boy” (a documentary about his life), and a Q&A with UW Communication professor Benjamin Mako Hill – a former roommate and friend of Swartz and a contributor to and co-editor of the first section of the new book. If you’re not in Seattle, there are events with similar programs being organized in Atlanta, Chicago, Dallas, New York, and San Francisco. All of these other events will be on Monday January 11 and registration is required for all of them. I will be speaking at the event in San Francisco. Sorry I got this too late. I hope you posted it!